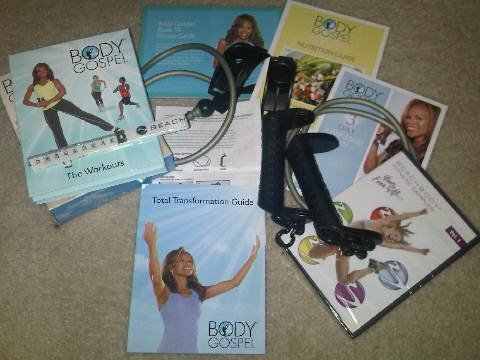 After completing two rounds of P90X, I must be honest and tell you that I didn't think Body Gospel would offer much in the way of a challenge. But I was wrong and pleasantly surprised. By the time I completed the workout I was breathing hard and could tell that my heart rate was up. Unfortunately, I didn't wear my heart rate monitor doggone it. But I will next time. The Day 1 Workout is called "Body Revival". It's basically a cardio workout routine. While it isn't as intense as some programs I've tried, it does, as I mentioned previously, get your heart rate up. When I wear my heart rate monitor in Day 3, I will record just how high and how many calories I burn during the workout. Body Revival consisted of some of the routine workout moves you would find in other programs like, lunges, step touch moves, arm raises, etc. Of course for the Body Gospel program the names of the moves were changed to reflect biblical or spiritual terms like, Hands to Heaven and the David Chacha. At the end of the workout, there was a Gospel Party. If that sounds familiar it's because Donna has a "Dance Party" in one of her older programs, The 3 Day Rotation. Everyone was having a lot of fun, and I admit so did I. The music in Body Revival is very engaging. I especially enjoyed music from artists, Israel and New Breed and Byron Cage. So lot's of stepping, some hopping, arm reaching, and plenty of lunges give you a good workout and fat burn. No equipment is needed for day one other than towel, water and perhaps a heart rate monitor if you so choose. The Body Gospel Bands aren't used in this first workout. Just bring yourself and be ready to work up a sweat. When you start the video you are given the menu options of "normal" and "louder" for the music settings. I chose "louder" but that was a mistake for this first time working out because I couldn't hear Donna's instructions. So for the first few workout days you may want to choose "normal" for the music setting. Also, for those with long hair, you may want to pull it back because you will be moving around quite a bit and you know how sweaty hair can get in the way. 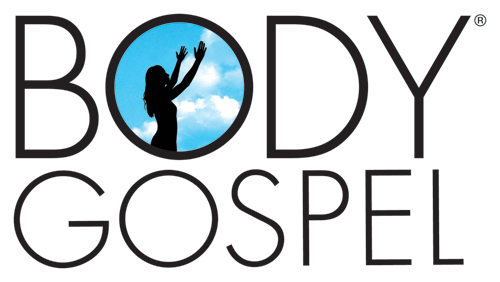 Read More About Body Gospel.